Black and White Wavy Check Fleece. 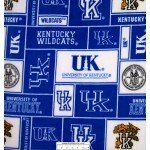 This fabric is great for no-sew blankets, sewing, craft, and home..
Betty Boop Kisses Black Fleece. 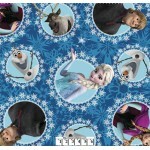 This fabric is great for no-sew blankets, sewing, craft, and home de..
Disney Cars Roadway Fleece features the Disney Cars Lightning McQueen, Mater, Guido, Luigi, The King..
Disney Frozen Characters Blue Fleece Fabric This fabric is great for no-sew blankets, craft, and hom..
Minnie Mouse Shopping Fleece features Disney's Minnie in various poses on her colorful name ready to..